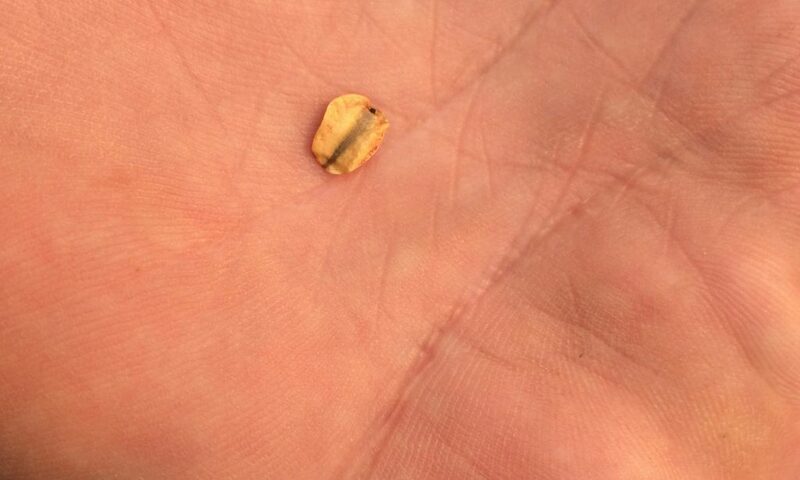 Giant Sequoia protects 348,000-acres of sequoia groves. 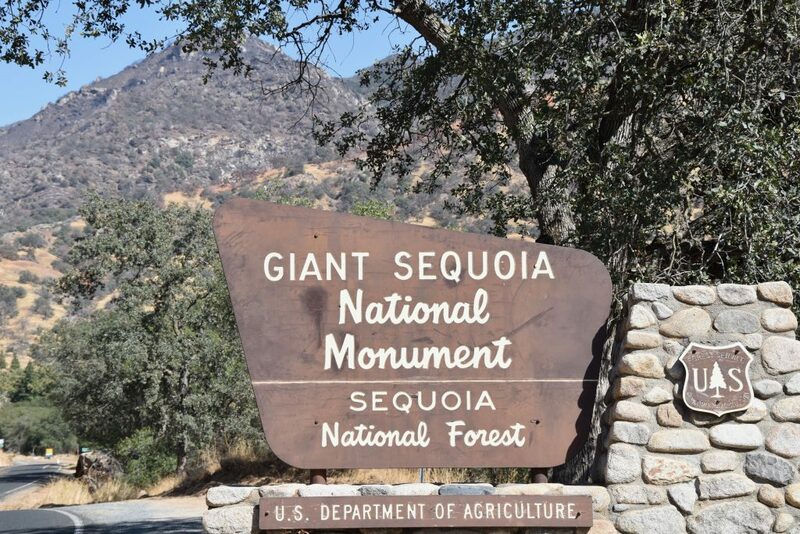 The Monument is intermixed between Giant Sequoia National Park and Kings Canyon National Park both of which protect old growth sequoia trees. 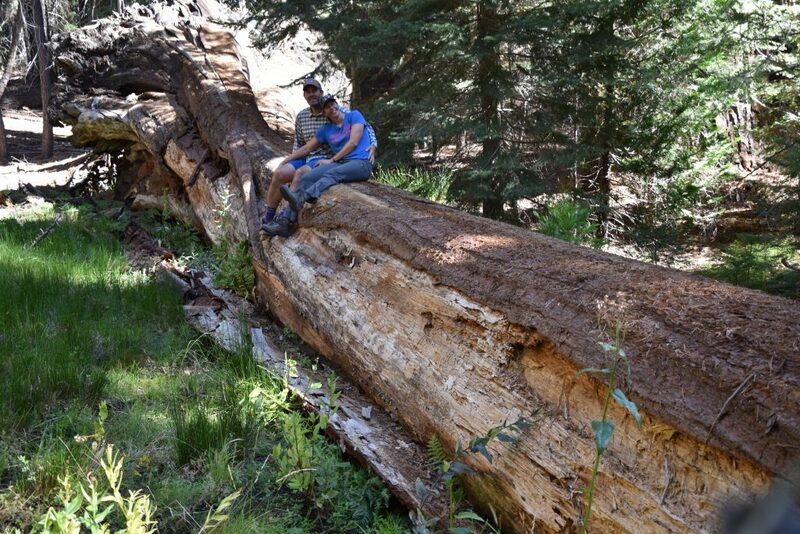 The sequoia is the largest tree and the largest living organism by volume on earth, and the General Sherman tree in the Sequoia National Park is the largest known living sequoia! 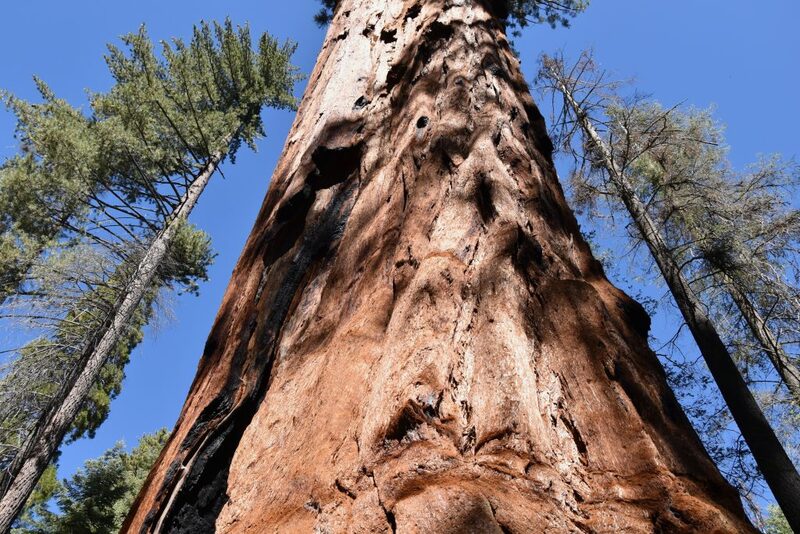 Sherman weighs 4,200,000 pounds, is 275 feet high, 100 feet around, and has lived about 2,500 years so far. It is an awe-inspiring by any measure. 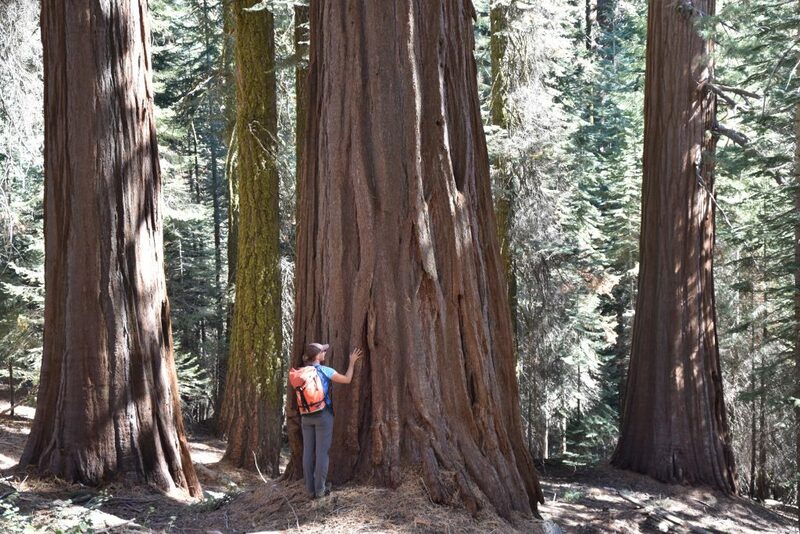 A 60-mile stretch along the western side of the Sierra Nevada mountains provides the only natural habitat for the Giant Sequoias. 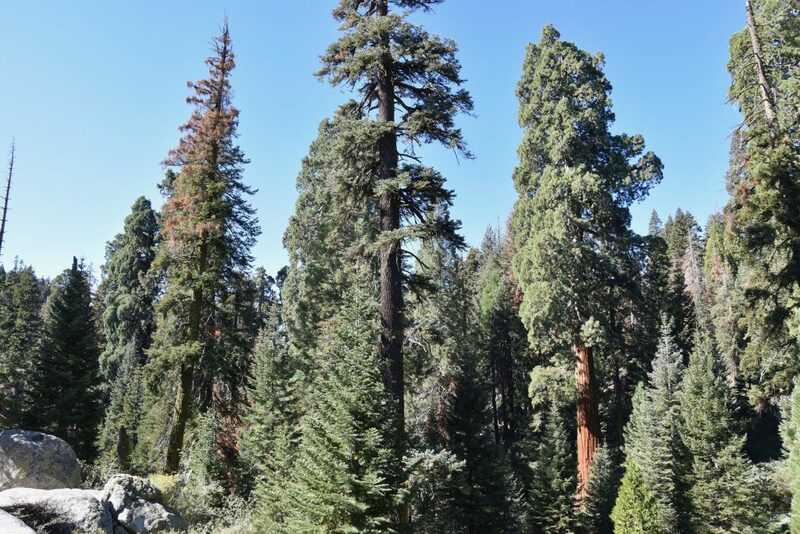 The trees grow in groups known as groves and there are only 67 known groves in the Sierra Nevadas. 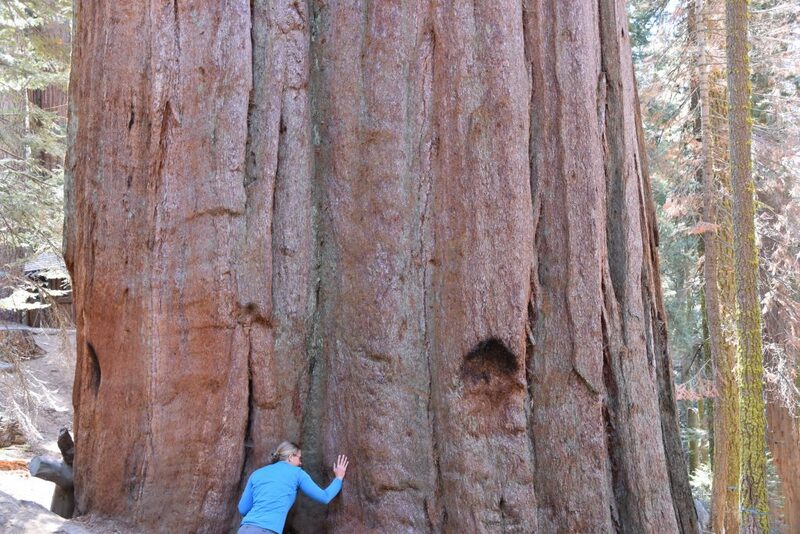 Sequoias have been able to grow so large because they are naturally fire resistant. 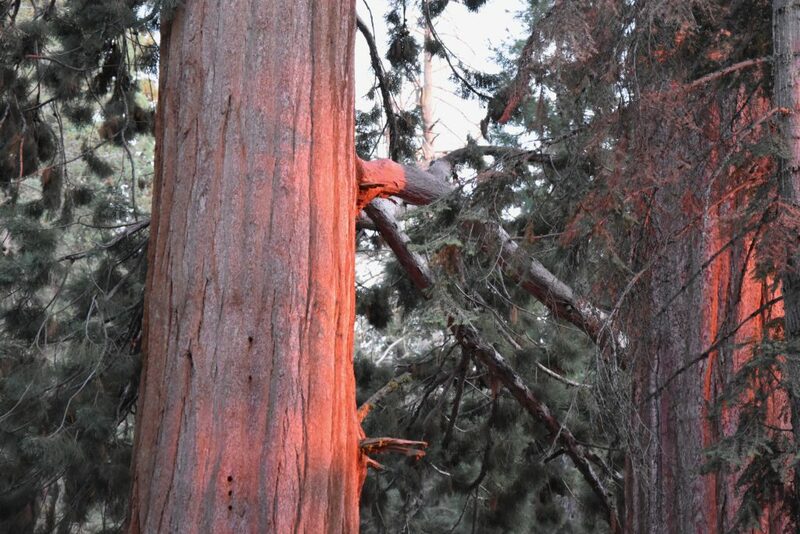 The tree’s bark is very thick (measured up to 2 feet) and is one of nature’s best at fending off fire. 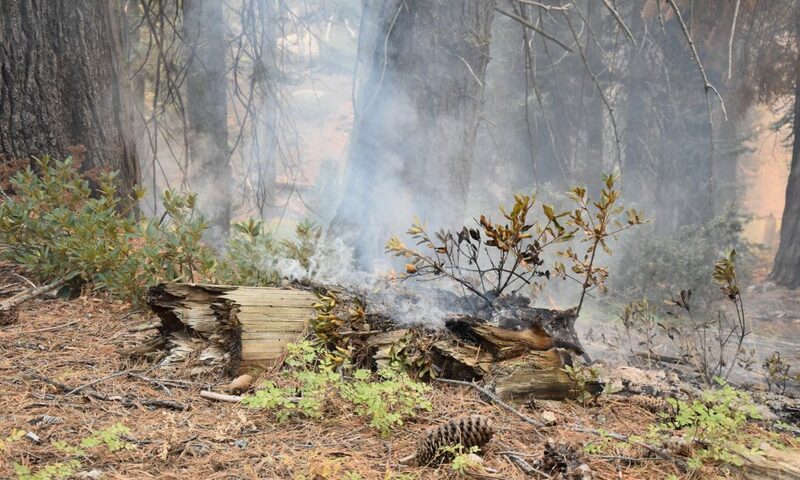 But conversely, sequoias rely on fire to germinate their seeds. 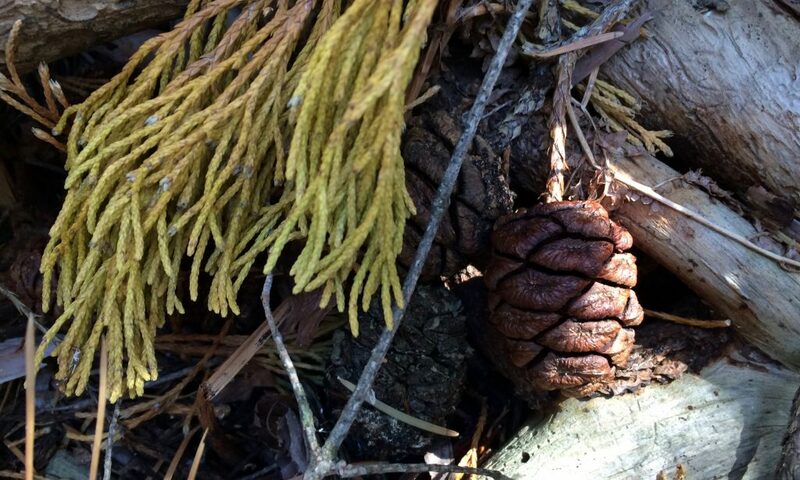 The heat of the fire opens the seed cones and the fire clears the ground for competition-free germination. 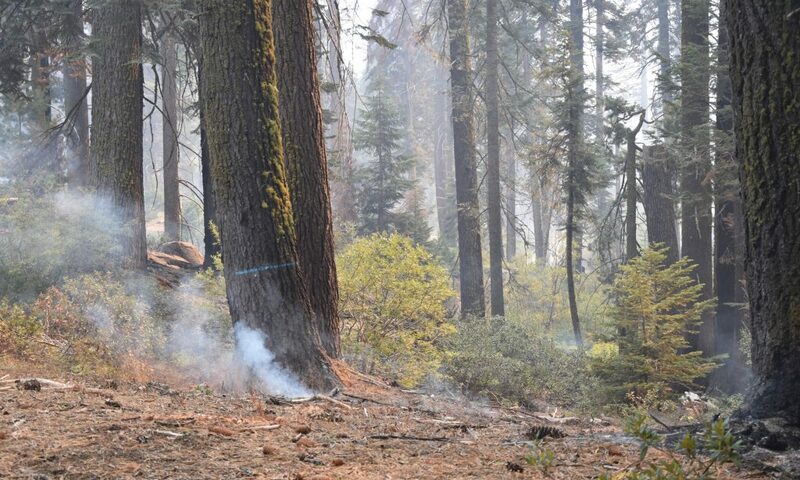 Fire suppression management (along with numerous other ecological impacts) inadvertently lead to a lack of young sequoias, so the Park Service now uses controlled burns as a way to encourage new sequoias to grow. 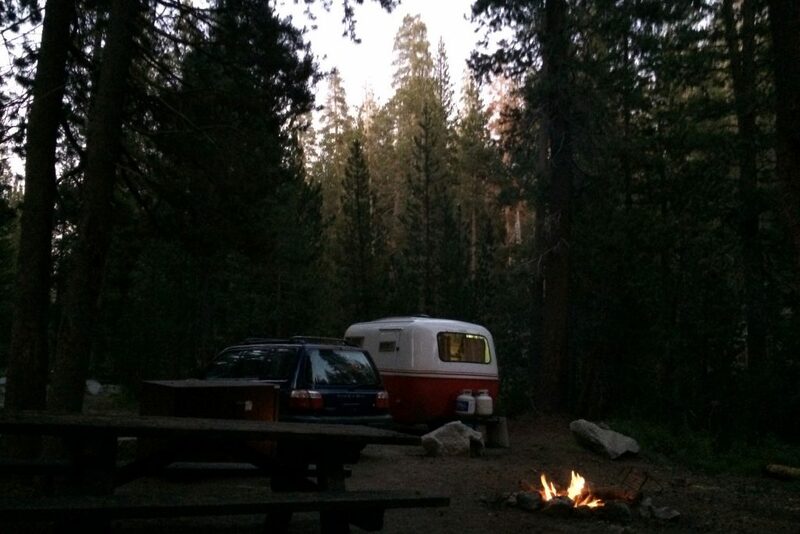 We spent the first night in the northern portion of the Monument tucked between Giant Sequoia National Park and Kings Canyon National Park. 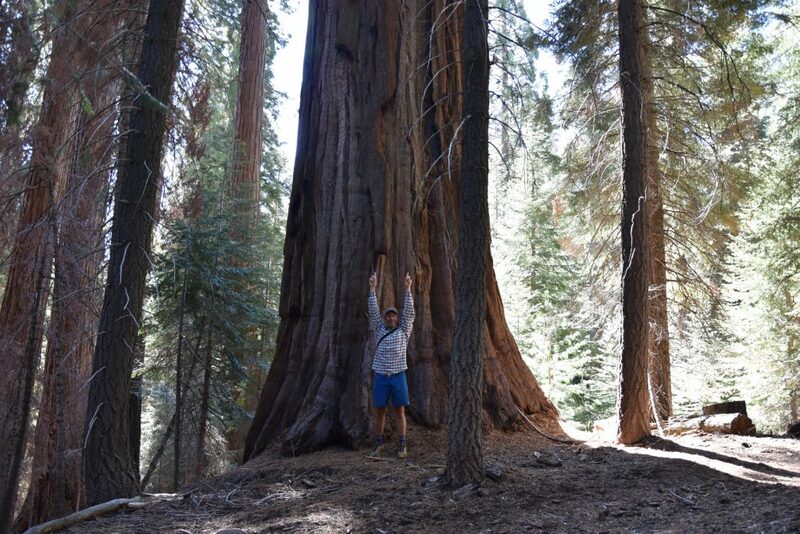 Being in the trees presence is awe-inspiring but it is another feeling to leave the structure of the National Park and hike 10 miles through the forest interspersed with ancient sequoias without anyone else around. 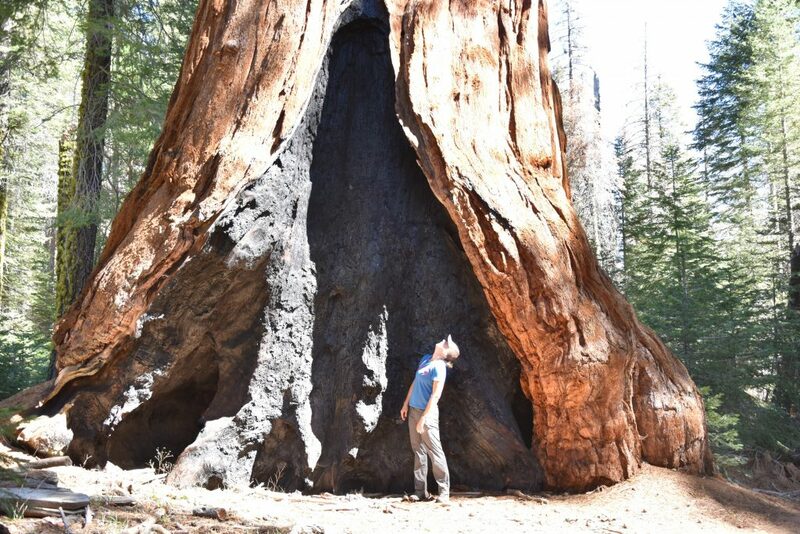 The Freeman Creek Grove is the most easterly sequoia grove in the Monument and is also the largest unlogged sequoia grove outside of the National Parks. 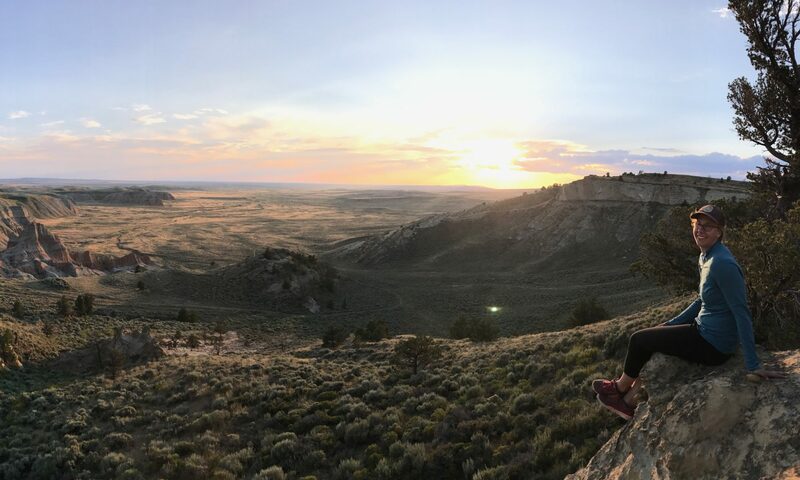 There’s a great 5.2 mile trail that takes you through the Freeman Grove. You can drive to the eastern end of the grove or you can hike as we did from the western end of the trail down through the grove. 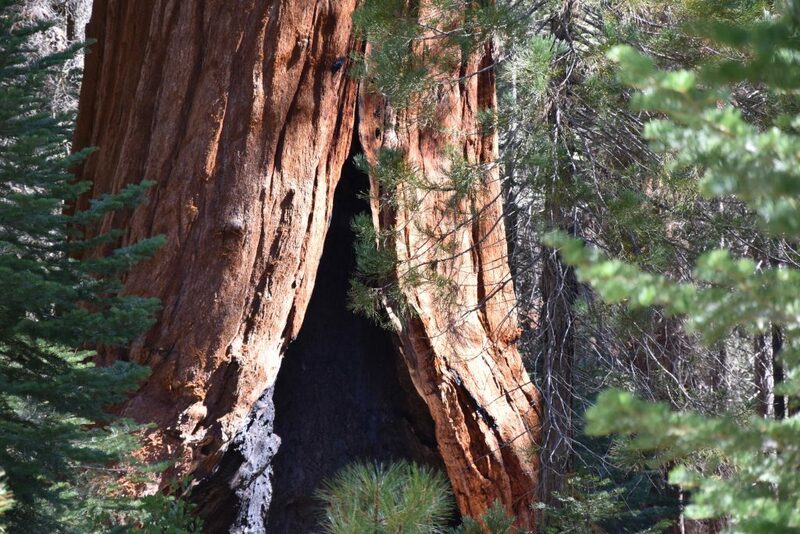 The grove has 800 giant sequoia trees with trunks greater than 10 feet in diameter and several trees with trunks greater than 20 feet in diameter. And the way we treat them is a harbinger of our future.